I have heard that “The Dark Tower” is one of Stephen King’s greatest achievements as an author. He spent years carefully building the world, characters, and lore of a series that has gone on to sell millions of copies and inspired modern writers today. A movie adaptation was long sought by various studios, but King turned them all down because he was concerned about how the work would be adapted (as well as not being impressed with the pitches he received). 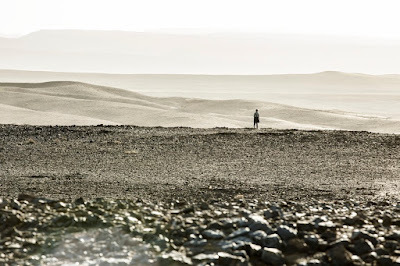 My take away from seeing the film version while having not read the book, I must come to the conclusion that either the books are not as brilliant as I have heard, or that King should have kept looking for a different movie studio to partner with. For the film adaptation, I have just seen is so confusing, so lifeless, so devoid of joy or imagination, that I suspect “The Dark Tower” is likely to inspire people to NOT enter the movie industry (Sony - who produced the movie – achieved a similar result with “The Emoji Movie” a few weeks ago). Take a scene midway through the movie as an example of how little the movie cares about anything: A man and a boy cook food over a fire near an abandoned theme park. We are in alternate world, different from our own. The boy transported here from our world and asks why the park was abandoned. The man he is with says these are ancient ruins. They have not been used for years, no one knows what they are, or even what they were used for. The boy reinstates that the “ruins” were called theme parks. The man then suggests its time to get to sleep. What doesn’t seem to dawn on the man is that this is a potential golden opportunity to learn about something that has perplexed his civilization for years. Now is the time to ask what a theme park is, what they were created for, and how the boy feels about them. But Roland Deschain (Idris Elba) does not ask these questions. I’m not sure it even occurs to him to ask. 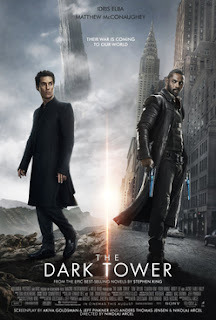 He is focused on his goal to reach The Dark Tower, a building that is supposed to be blocking evil from destroying his world, but that seems to be a dubious claim seeing that most of the world consists of abandoned buildings and deserts. If there is civilization in the world, it does not appear to be worth saving. With murderers, rapists, and street politicians, I would argue that whatever the villains of the film want to accomplish…they don’t have far to go to do so. Roland himself claims to be the last ‘Gunslinger’ on the planet. I’m not really sure what the Gunslingers were (the movie is vague on that part), but I can only assume they were cowboys. I’m not sure what’s supposed to be so imaginative about that. Maybe I’m supposed to care because the main antagonist is a sorcerer played by Matthew McConaughey? I do admit that there is an unfair power balance when it comes time to fight, but sorcerers don’t appear to be any more common than the Gunslingers. If the point of all this was that the old heroes were being killed off by the new magic users…then I came that conclusion by guessing, because there isn’t anything here to suggest otherwise. 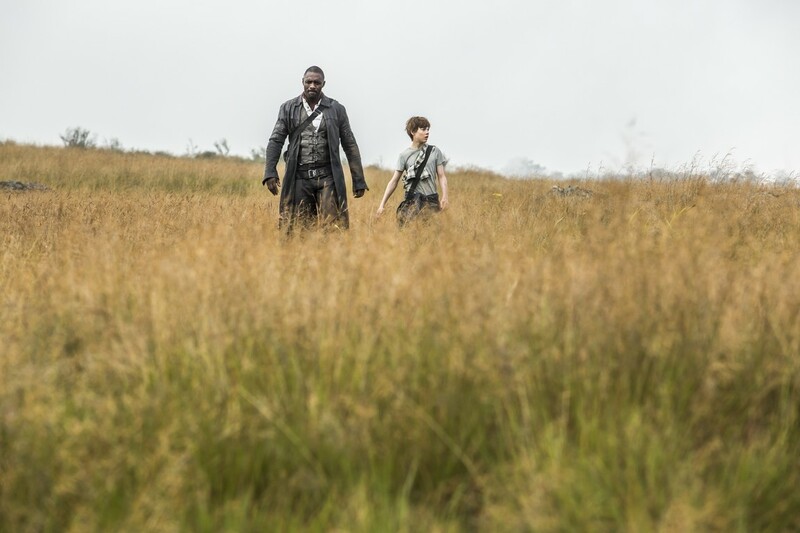 The only thing I could mine from the script is that a young boy has visions of a Dark Tower that, should it be destroyed, will potentially do something bad. He is the key to destroying the tower, because…reasons, I suppose. Honestly folks, I’m sort of struggling with this one because while it is not painful in a conventional way, the more I think about it the more I realize there’s nothing here. I admired the performances of Elba and McConaughey (who are clearly making the most out of a bad situation) but I never really got a sense for who these people were or of their ultimate goals in life. The modern world looks just like our world and the alternate one is bland and dreary, meaning there is nothing interesting to look at. The history of this alternate realty is never explained and soundtrack wise…it sounds like the composer just took three to four dreary notes and played them on a monotone bass player. 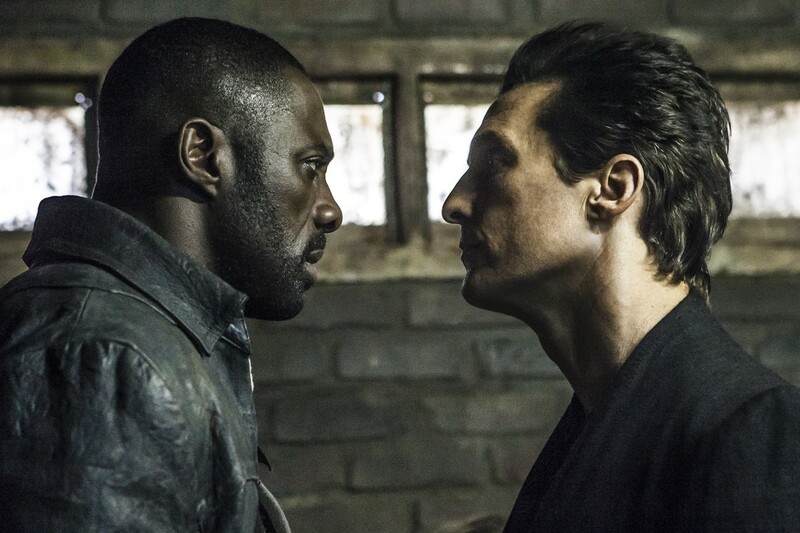 “The Dark Tower” is not offensively bad but it doesn’t stimulate the imagination or inspire much. Maybe this was a better book. There are at least seven and certainly one’s imagination could do a lot with King’s imaginative writing. Still, for something that was so critically acclaimed, I suspect the movie is bad not because of the source material, but because it was made without love and care. 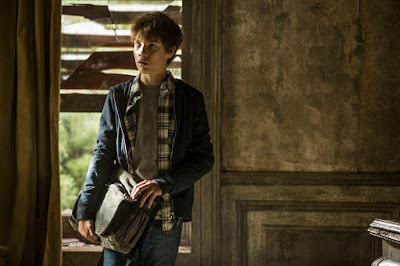 Before a single scene was shot Sony announced that this would the first in a new franchise that would include a trilogy of films as well as a TV series. Maybe that is the problem: This was conceived as a product before it was imagined as a story. Parents, there is some bad language, non-graphic death scenes, and gun use. Recommended for ages 12 and up.